Home / News / Regal Robot’s coming to FanX, Salt Lake Comic Convention! Regal Robot’s coming to FanX, Salt Lake Comic Convention! Next Week! Regal Robot founder, Tom Spina, is a guest and panelist and we’ll have a special photo op at booth 1031 of FanX Salt Lake Comic Convention! 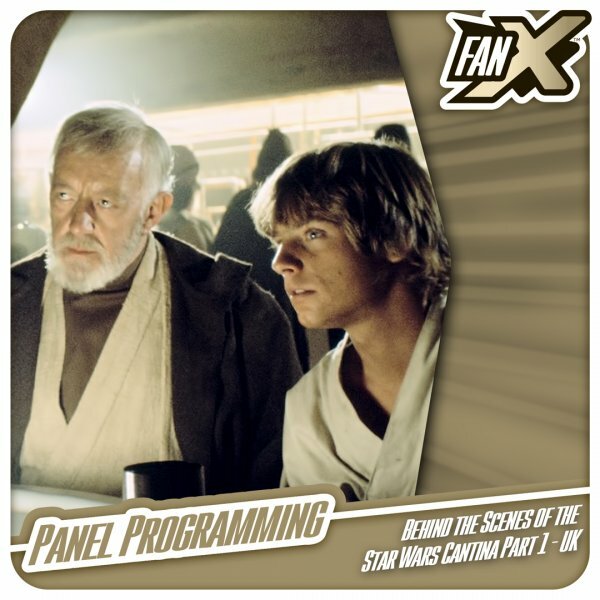 We’re excited to announce our appearance next week at FanX Salt Lake Comic Con, where you’ll find us at Booth 1031! For this show, we’re setting up a Star Wars™ Emperor Throne Armchair from our custom furniture studio so that fans can see just how comfy the dark side can be! We’ll also have samples of our famed Star Wars art and decor, like our Mandalorian skull sculptures and brand-new Han Solo™ in Carbonite plaques, which will debut just ahead of the show. Come check out our work in person at booth 1031 and say hello! Tom’s also guest of the show! 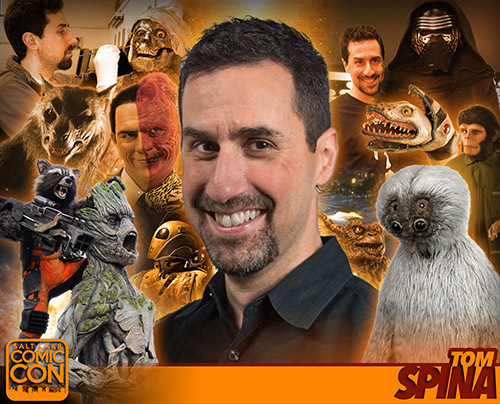 Once again a returning guest at the show, Regal Robot founder, fx and restoration artist Tom Spina, will be appearing on three Star Wars panels with the Lucasfilm story group’s Pablo Hidalgo. The pair are known for their in depth presentations full of rare photos and video which are not to be missed! 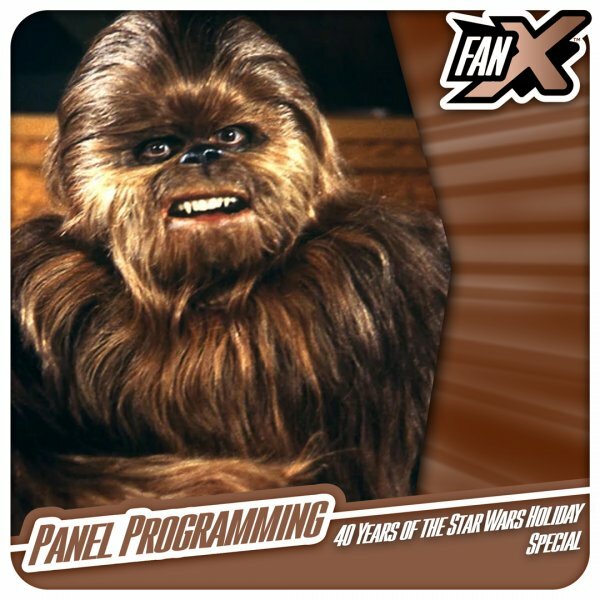 This year includes two of Tom and Pablo’s legendary Star Wars Cantina panels (one about the original UK shoot with Stuart Freeborn’s creatures, one about theRick Baker US pickup shoot) as well as a new panel celebrating the40th anniversary of the infamous 1978 Star Wars Holiday Special. 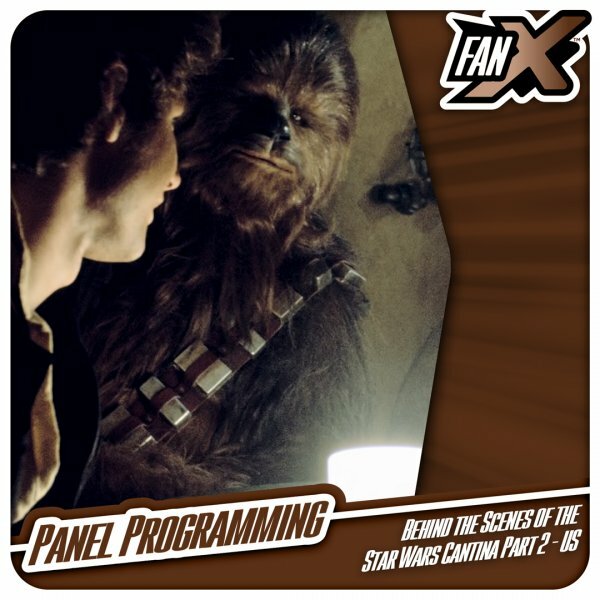 The pair will be joined by StarWarsHolidaySpecial.com creator, Scott Kirkwood on that one as well. You can see his schedule below and he’s looking forward to seeing many of you there! 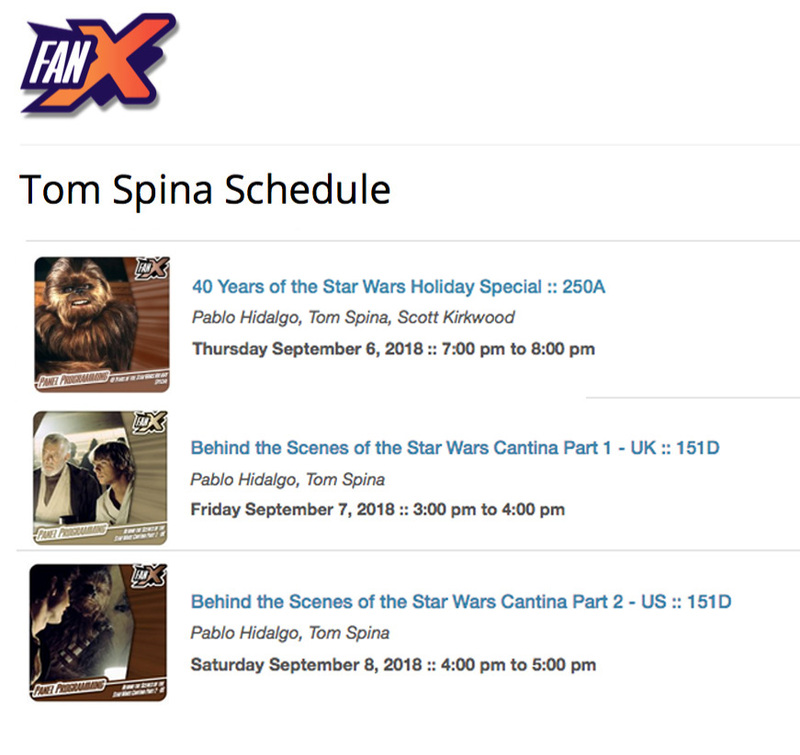 Above is Tom’s schedule of panels at FanX, Salt Lake Comic Convention. Click the below images to learn more about each! If you’d like to be kept up to date on all of our appearances, new products and even discount codes, please use for form below to sign up for our newsletter and get updates!